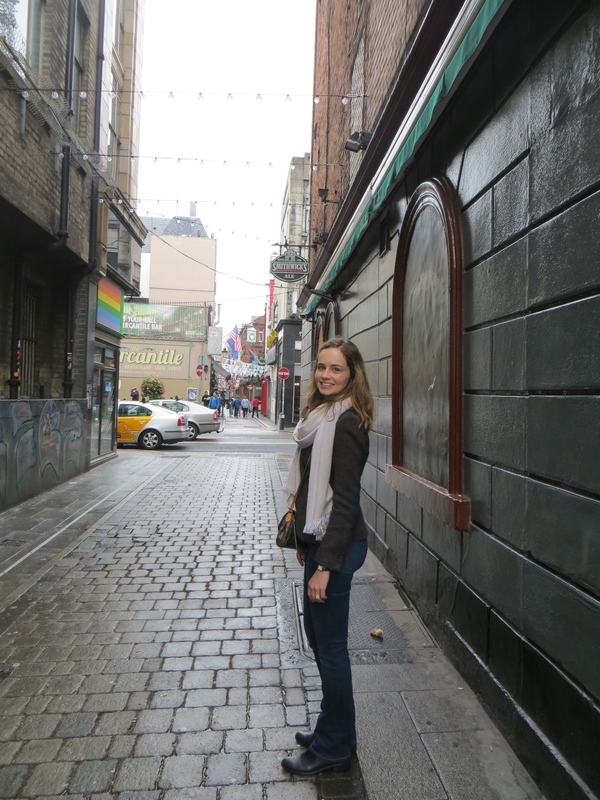 I love the itinerary my sister and I created for our Irish road trip–is that ok to admit? We flew into Dublin on a Thursday, hit the road for two days of the Irish countryside and then returned our car on Saturday for a weekend in Dublin. 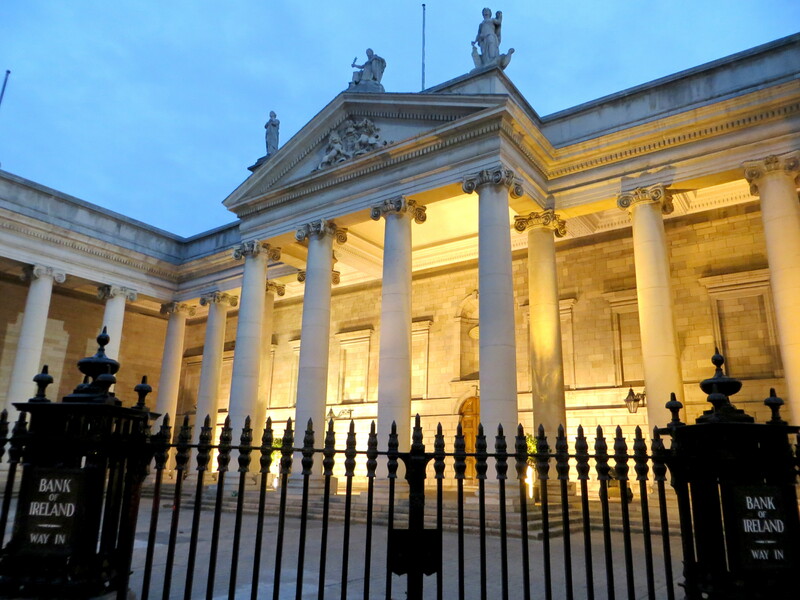 We tried to make our weekend equal parts historical and fun–mixing in a few pints of Guinness with sightseeing. 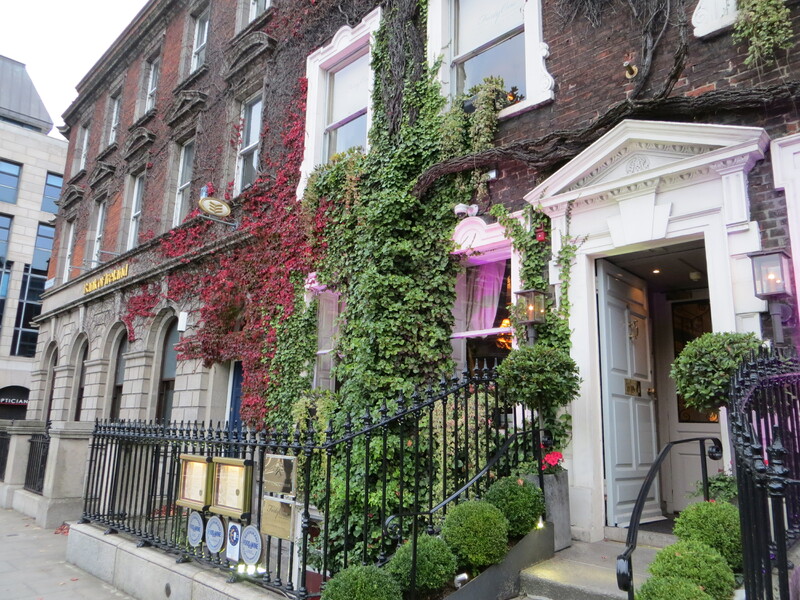 On the recommendation of friends, we stayed in the raucous Temple Bar area at this hotel. We couldn’t have been happier with the accommodation and “24/7 free champagne” policy in the lobby. 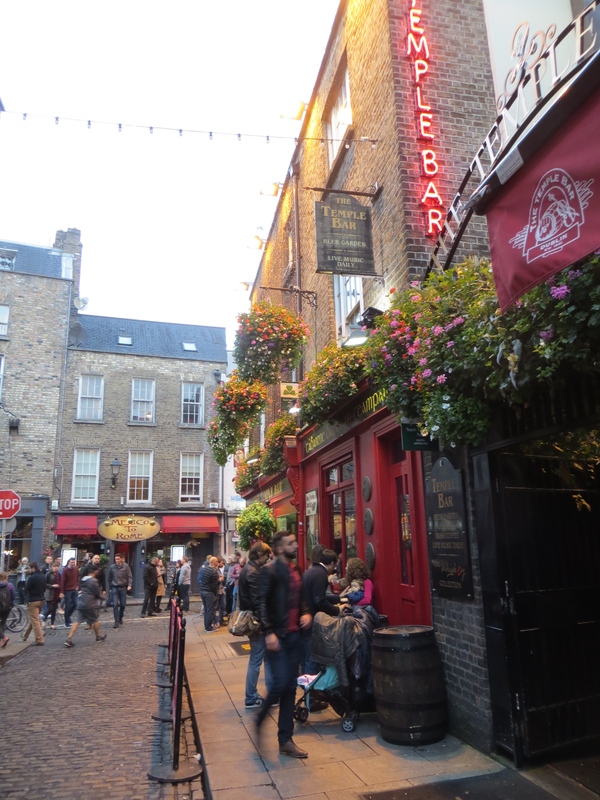 There were a few places my sister and I sought out in Dublin, but we spent most of the time wandering around, peeking down alleys and enjoying the greenery. I assume the “Emerald Isle” is green most of the year, but October is a particularly gorgeous time to visit. The weather is crisp and autumnal without being too cold. 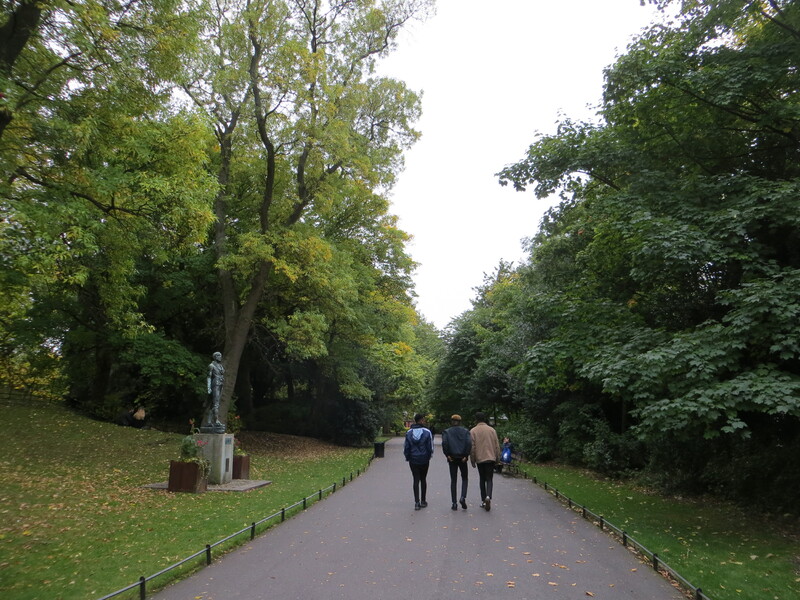 We spent Saturday afternoon walking around St. Stephen’s Park, checking out Trinity College, shopping our way down Grafton Street and tasting chocolates at Butler’s. 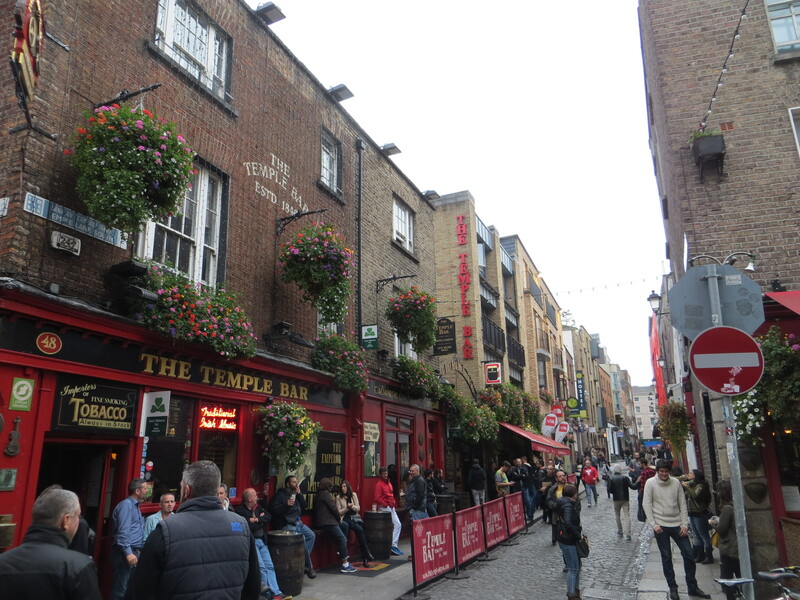 After a few days in the sheep-dotted countryside, Dublin felt like Manhattan. 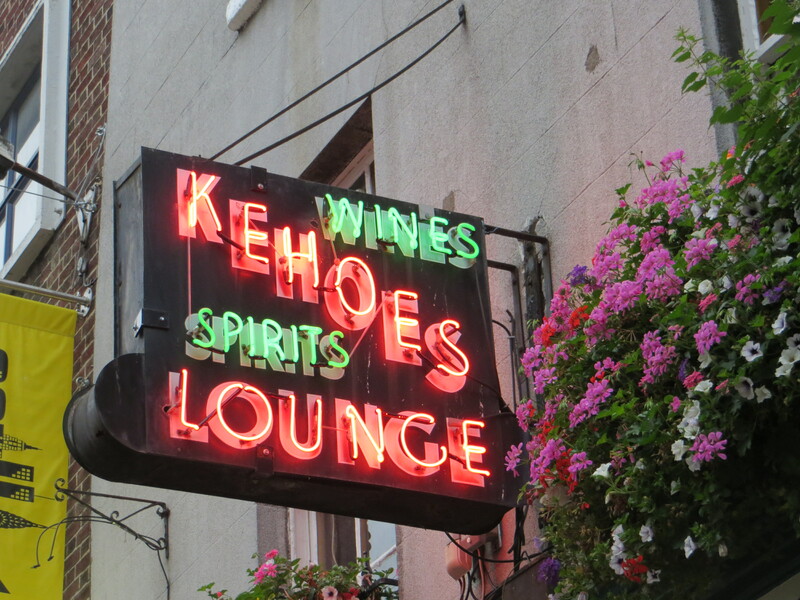 There were people everywhere on the sidewalks–playing music, drinking, trying to engage us in conversation. Two, smiley American girls (who are often mistaken for twins) are apparently very interesting for Irish boys! 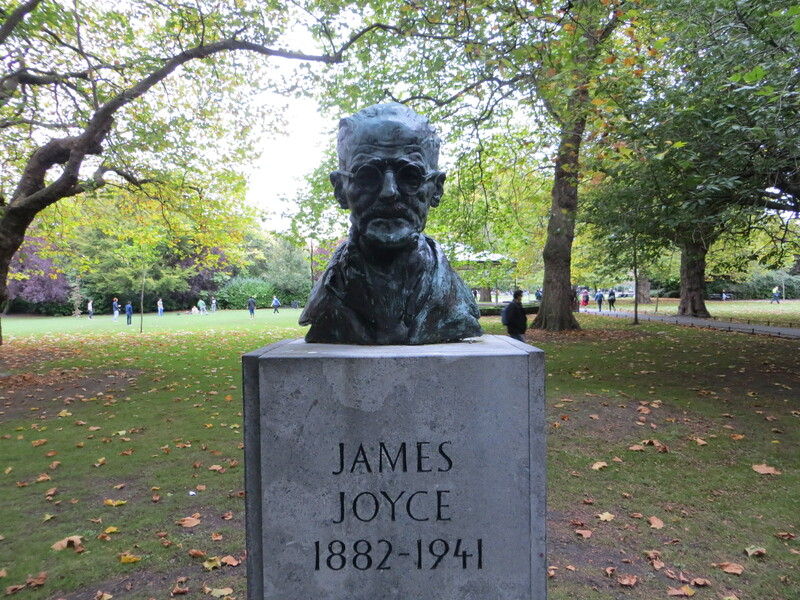 Dublin has such a different vibe from quiet Geneva where people really keep to themselves. I honestly loved engaging in conversation with the shopkeepers and people in the pubs. So Irish. Saturday night, we went out for a late Indian feast and enjoyed the many sidewalk music concerts on the walk home. Sunday morning we made our way to St. Patrick’s Cathedral for a midday mass. 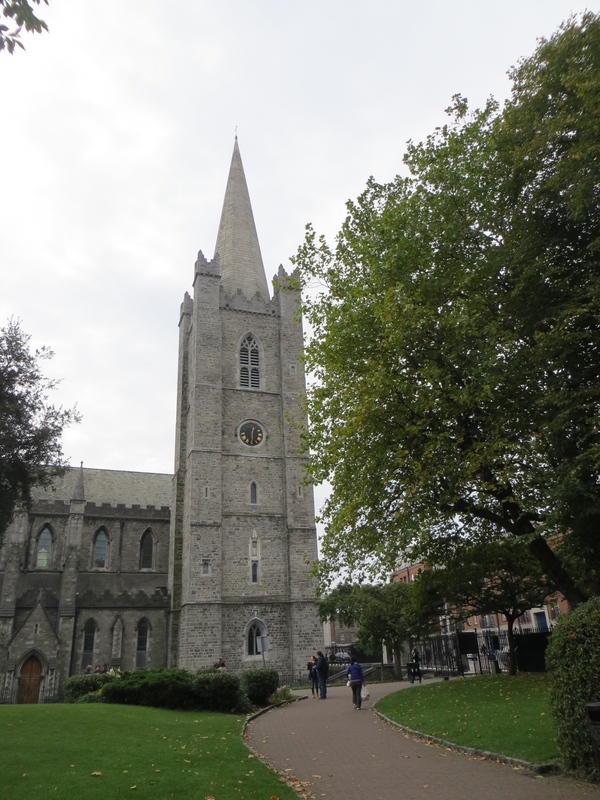 Since my sister is newly Catholic, I thought it would be nice to take mass in such a place–only to discover that St. Patrick’s is a Protestant church! 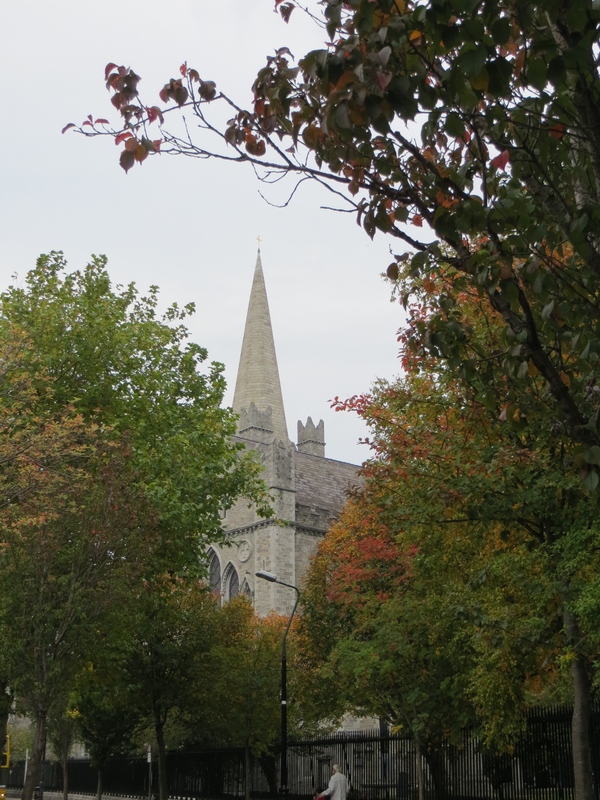 The formerly Catholic church was forced to convert to the “Church of Ireland” in 1537 under the English Reformation and they simply never changed. 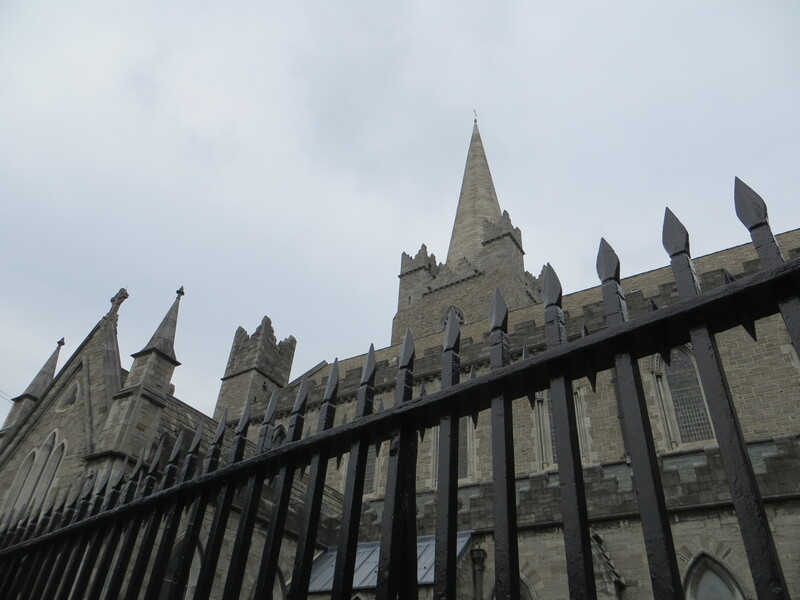 No matter what your faith is, I’d urge you to visit St. Patrick’s Cathedral. Such a hallowed place. 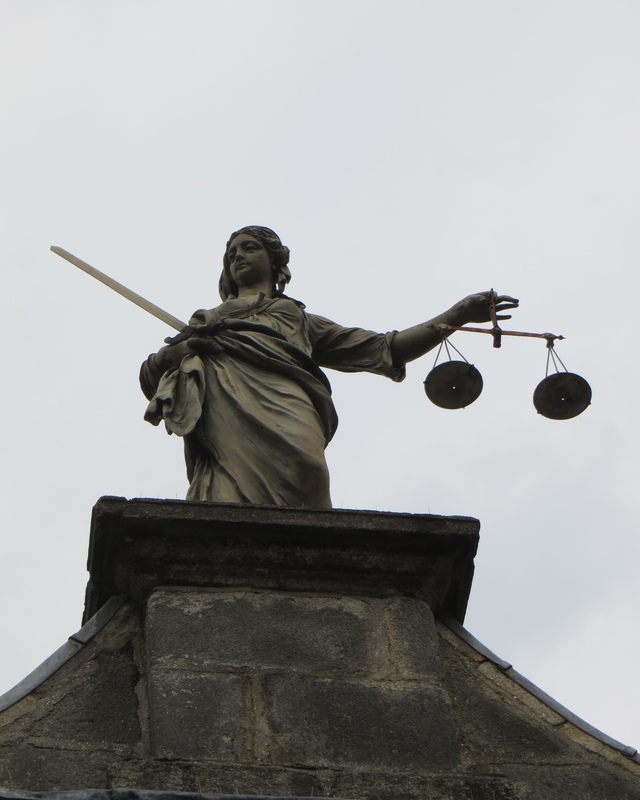 Straight from one church we headed to Dublin’s other church: the Guinness Factory. Now, I’ve never been one to order a Guinness, but the brewery tour was recommended by every friend who’d visited Dublin so we had to see what it was all about…and it was cool! I expected a level of fratiness or something akin to what it’s like to eat at a “Bubba Gump’s Shrimp Co.,” but I was wrong. 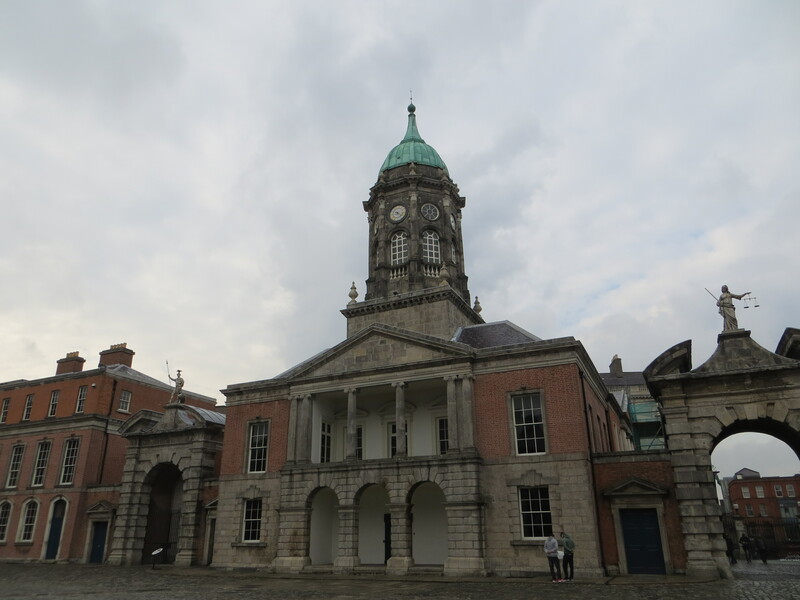 The history of how one man created the Guinness empire was fascinating, the centuries-old building itself was beautiful and the beer was delicious. It’s true: Guinness tastes the best in Ireland. 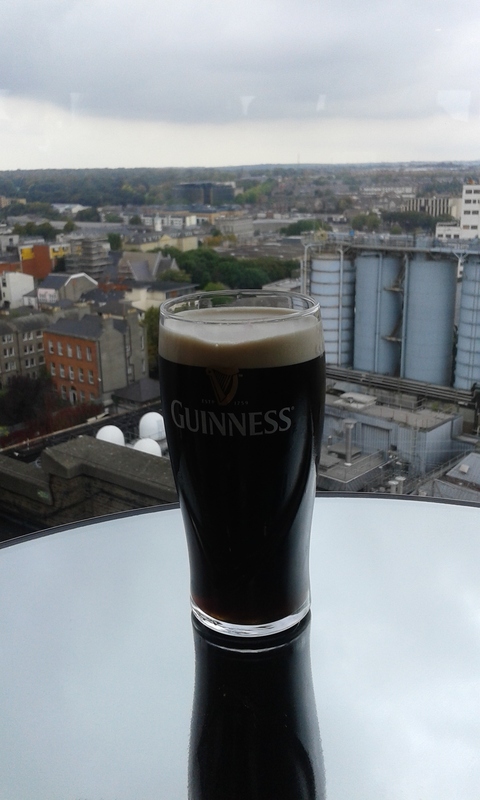 On the top floor of the factory you can have a pint overlooking all of Dublin. This is the only decent photo I took at the Guinness factory (blame it on the free tastings?). P.S. 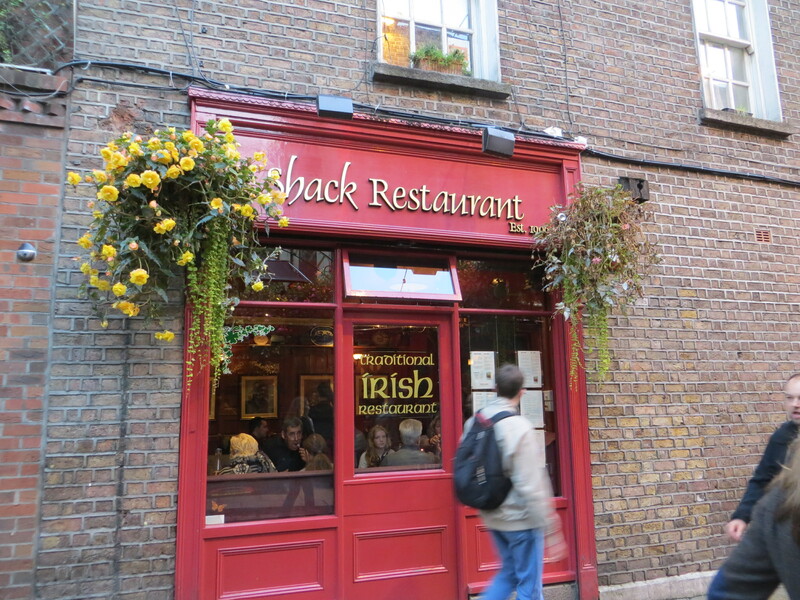 My favorite meal in Dublin was here. Meat pies be damned!